What you'll see above is my 2nd interview on local TV news talking about health issues. In this spot, it starts out with a news item about fireworks sales and then I talk about some statistics about fireworks injuries along with some tips to follow for the Fourth Of july weekend to be safe. In the video above, you'll see and hear my thoughts on my latest local TV news spot talking about fireworks safety. 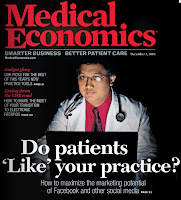 This interview is following a long seven days of working which included a Joint Commission survey - as I mentioned in this post - was pretty stressful for me. And, in addition to that, I was on call this past weekend. But despite that, and feeling fatigued, I felt that I was ready for this interview. I have been through this before - well once - with my interview about asthma. As you can see in the "before" video above, I felt pretty confident with the material. I practiced to myself more than a few times in the car driving up to the TV station. Did I mention that this was live and there was no "take two" possible? So, I get at the TV station in plenty of time. I check in at the front desk, and almost immediately, I'm whisked back to the studio. It was pretty cool seeing how the news is produced. I saw the anchor reading from the teleprompter and saw some of the behind the scenes stuff. Then, the anchor comes and sits at the interview table with me and I get a microphone. I thought that was unusual because my segment is not usually for another 5-7 minutes. At least, I told my friends and family that I was going to be on at about 5:15pm. The first story that you'll see in the video, is a story about fireworks sales. The dummy that I am, I didn't put it together that THIS was my segment as well. So, breaking things down in more detail that you probably want to know, the first thing you'll see is me sitting up in my chair and gathering my thoughts and trying to recall my slides in my head when the anchor asks me the first question. What you will not see during the entire interview is my hands - because they are holding a pop can - because I thought I wasn't going on for another five minutes. I thought about dropping the can, but I knew that wouldn't be cool. So, I just went with it. As I left the studio, I thought I did ok (and I recorded the "after" video above). My family called and told me I did a great job - what a great family! Then, I got home and looked at it for the first time with my own eyes. The material I presented was good, but I wasn't as animated as I was for my first interview. I learned a definite lesson today - just be ready for anything when it comes to media - whether it be TV, or radio, or live podcasting. My next TV spot won't be for about three weeks. It's still a learning process for me, but I'm still having a great time. I definitely can do better, and I will. Thanks for all the support I've received from all of you out there. I appreciate it. You're the best! This is the next random video from the Podcamp Ohio registration desk including discsussions about wedding rings, Devo, doing the cabbage patch dance, a quick interview with Brandice about how the morning was going, and a view of the lunch food line. Exciting, isn't it? Enjoy! Some people have asked me what I did last week and what this "Joint Commission" thing is. Especially if you see patients in the hospital on a daily basis, hearing the words "The Joint Commission" (TJC) should make you a little tense. For lack of a better term, TJC is a regulatory agency who inspects hospitals every three years or so to review hospital policies and procedures to maximize patient safety. Unfortunately, what is covered in the news a lot are patients sometimes accidentally harmed when they come to the hospital. How can this happen you ask? Most times, it is the breakdown of processes that occur in the hospital - in addition to human error. Anyway, TJC comes to hospital unannounced to conduct their survey. So, for the past year or so, the hospital has been preparing (by reviewing and updating policies and procedures) and wondering when TJC was going to stop by. It happened last week. Being the Chief of Staff for the docs of my hospital, I'm one of the people that the TJC reviewers talk to - so needless to say, my stress level was pretty high last week. They were at the hospital for three and a half days. And, the hospital senior leadership staff was on pins and needles while talking to these people wondering what they were going to scrutinize next. In addition, I felt bad for my patients, because I had to cancel my office hours for most of the week. I thought that I could just shift my office schedule, but, at times, meetings at the hospital were moved to a different time. So, I just had to cancel an entire morning or afternoon at times. I felt bad about that. When Friday morning came, the stress started to let up a little bit as this was the last day of the survey. The preliminary feedback was good, but the final report will come back in a couple of weeks. Overall, I'm proud in how the hospital presented itself. We know that we do good work, but to receive initial positive feedback from TJC gave everyone a sigh of relief. Unfortunately, instead of celebrating on Friday afternoon, I got ready for a weekend on call. But, hey, I'm not looking for sympathy here. As I tell everybody, it's tough being awesome. And, if this is the price for being awesome, then, I'll take it. HA! In this video from Podcamp Ohio 2, who is rockin the registration desk again this year? That's right! It's me - and some of my closest #pco09 friends. I finally got to meet drew who has been a fan of my show for a long time. We had a great discussion about the type of work that he does - specifically wound care. I'm going to have him on the show to talk about this and other topics. The rest of this video, you'll see what happens behind the scenes of the Podcamp Ohio 2 registration desk. Don't worry, more videos to come soon. Enjoy! I know I haven't had a chance to talk about it yet, but I had a great time at Podcamp Ohio 2 last weekend in Columbus. In these next few posts, I will share some video and come comments about the video and about the conference. In this video, it is the night before Podcamp and we had a little gathering at a local mexican restaurant. It's kind of interesting, especially since this was the first time that I saw some of these people in a year - since the last Podcamp Ohio. It was kind of funny seeing everybody with their smartphones, taking video, taking pictures, and other geeky, techy stuff. So enjoy this and there will be more Podcamp Ohio 2 video to come! I have to tell you that I am so happy for the show tonight. It didn't start off how I'd like. What do I mean by that? Well, I had a hospital meeting right before the show. About halfway through the meeting, I thought things were going ok and that I'd be on time at home for the live show. Then, there was that one agenda item which brought everything down. I ended up being about 5-10 minutes late for the show. Thanks so much to Angelo, Merry, and Daniel for hanging on through the majority of the show to discuss Podcamp. Thanks also to Jeremy, Rocky, Jamie, and Brother Wolf for calling into the show (I hope that I didn't forget anyone who called in). Two hour shows are usually fun, but my allergies have been bad and it was a real struggle to get through things tonight - Sorry if I didn't sound like myself. But, I'm really looking forward to Podcamp Ohio coming up this weekend. You can keep up with my twitters as I journey down to Columbus and follow me as I get "the Podcamp experience." Wonder how Podcamp started, see the video above and read more about it over on the Podcamp Ohio site. Have a great weekend everybody, and if you're going to Podcamp, I'll see you there! Even though the official blogiversary date is tomorrow (My first blog post was June 19, 2006), we're gonna be celebrating my three years in the medical blogisphere tonight on The Doctor Anonymous Show. It's hard to believe that it has been this long already. Lots of blogs and come and gone in this time - and, to be honest, I thought this one would be one that would not quite be around that long. But, hey, hooray! Three years a still plugging along! In addition to that, show 105 will also be the unofficial online kickoff party for Podcamp Ohio 2 which will be taking place in just two days in Columbus. Angelo, the Lead Organizer for #PCO2, had his final planning podcast last night, and will be joining us live for the show tonight. I hope that other people who are attending and/or presenting at #PCO2 will be calling into the show to talk about their sessions, or just calling in to say how excited they are about the upcoming event. Also check out my video post above that is on the Podcamp Ohio facebook page. Sorry this post is so late getting out. I did want to thank Cliff Ravenscraft for being my guest on Show 103. We had a great conversation about how he started in the new media world - specifically blogging and podcasting. Little did Cliff know that a podcast about the TV show Lost would really start his podcast success. Cliff's GSPN podcast network now has about 20 podcasts on it. We also had a great conversation about how he decided to leave his "regular" job in the insurance industry to go podcasting full time. During this difficult time in his professional life, Cliff shared this situation with his podcast audience. Cliff's latest podcast project is called "Pursuing A Balanced Life," which include changes in his health/fitness plan and finding a balance between work and family life. Finally, we discussed the session that he is presenting at Podcamp Ohio 2 on Saturday, June 20, 2009. In addition to producing podcasts, Cliff also serves as a podcast consultant and sells podcast equipment. Cliff, through his Podcast Answer Man podcast, has really helped me improve the production value of my show - and for that I'm very thankful. You can click on the player above to listen to the show on the website. 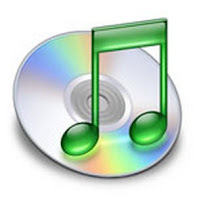 Or, if you like, you can download Show 103 by clicking here. In addition, you can check out Show 104 on the player below (or click here to download) which I call "The Night Shift" where I talked about some news items and said goodbye to my long time co-host for the Saturday show, Kat from the BTR show Llanview Lowdown. Hope you enjoy both these shows! This week begins a kind of unofficial Podcamp Ohio month on The Doctor Anonymous Show. I'm very excited about Show 103 in that we have coming on the show podcast guru Cliff Ravenscraft from the podcast network GSPN.tv. The first time I met Cliff was at last year's Podcamp Ohio. You can see the interview we had above. More than a year ago, Cliff took the big leap in leaving a job in the insurance industry to the life of a full time podcaster. In addition to producing a bunch of podcasts, Cliff also does podcast consulting work and sells podcast equipment. Cliff is presenting a session at Podcamp Ohio on June 20th. We'll talk about that and about his newest podcast he calls "Pursuing A Balanced Life," which is climbing the popularity ranks over on iTunes. I hope you're able to join us Thursday night! This week, The Doctor Anonymous Show welcomes podcast guru Cliff Ravenscraft from GSPN.tv to the show. In addition to presenting at Podcamp Ohio this month, Cliff is the founder of the GSPN.tv podcast network, a podcast consultant, and also sells podcast equipment. If you haven't already figured out, Cliff does podcasting, not as a hobby, but as a living. He formerly had a lucrative job selling insurance, but walked away from that to pursue his passion of podcasting. In addition to Podcamp and podcasting, we'll also discuss his most recent podcast creation, or has he calls it, a "lifestyle change" which has caused him to be "Pursuing A Balanced Life." One of these steps has been to put more emphasis on health and fitness. In the past 6 weeks, Cliff has lost 16 pounds - and we'll talk about how he did that. Like the rest of us, it is at times a struggle to balance work time and family time, and Cliff tells about this struggle in this new podcast as well. I first met Cliff a year ago at Podcamp Ohio, and I will try to put that interview up tomorrow, so that you can learn a little about Cliff before our interview. So, join us on Thursday, June 11th, 2009 at 9pm Eastern Time for The Doctor Anonymous Show. Hope to see you then! Lost of audio problems plagued Show 102 from Hilton Head Island, South Carolina. I even thought about deleting the show - mainly because I was so frustrated throughout the show. 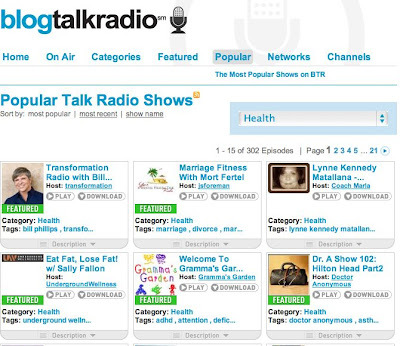 But, as you can see above, show 102 has been kind of popular as far as BlogTalkRadio standards. And, just to let everyone know, this is not your "typical" Dr. A Show. This type of show is one where my BlogTalkRadio friends called into my show for support and to say hello. At the beginning of the show, I tried to do some news stories, but didn't really work out that way. So, I hope you enjoy it. Sometimes it's interesting to see how a show host endures the stress of something like technical problems. See how I dealt with it. Thanks to all those who listened live and who already listened to the archived show! I had so much fun, I decided to have a part deux show tonight, Friday, June 6, 2009 - at a special time - 10PM Eastern Time. Will still broadcast live here from Hilton Head. On tap tonight, I will be discussing some news stories including the Octomom getting a TV show, a funeral home having license revoked for cutting corpse, and other current events stories. Hope you can join us tonight! This week, I'm at a conference in Hilton Head, South Carolina (tough location, I know - hehe). So, I will try to do a show from the hotel site this week. I'll probably have an interesting travel story to share with you. Plus, my birthday was this week, and I'll share some of the birthday celebration story to you. I'll also cover some interesting current events stories (may or may not be medicine/health related) with you. Finally, I've been trying out some audio tweeting. So, I'll share that with you as well.